Mongolia is a landlocked unitary sovereign state in East Asia. Its area is roughly equivalent with the historical territory of Outer Mongolia, and that term is sometimes used to refer to the current state. It is sandwiched between China to the south and Russia to the north. Mongolia does not share a border with Kazakhstan, although only 37 kilometres (23 mi) separates them. At 1,564,116 square kilometres (603,909 sq mi), Mongolia is the 18th largest and the most sparsely populated fully sovereign country in the world, with a population of around 3 million people. 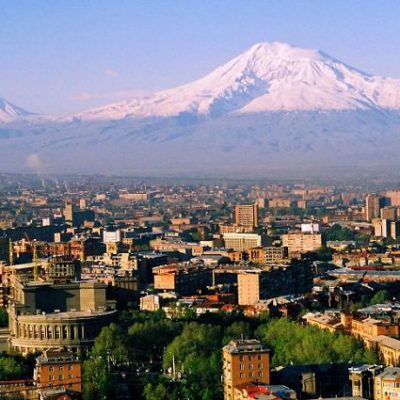 It is also the world’s second-largest landlocked country behind Kazakhstan and the largest landlocked country that does not border a closed sea. The country contains very little arable land, as much of its area is covered by grassy steppe, with mountains to the north and west and the Gobi Desert to the south. Ulaanbaatar, the capital and largest city, is home to about 45% of the country’s population. Approximately 30% of the population is nomadic or semi-nomadic; horse culture is still integral. The majority of its population are Buddhists. The non-religious population is the second largest group. Islam is the dominant religion among ethnic Kazakhs. The majority of the state’s citizens are of Mongol ethnicity, although Kazakhs, Tuvans, and other minorities also live in the country, especially in the west. 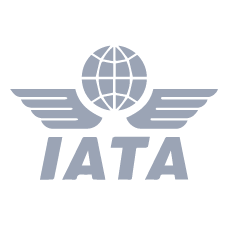 Mongolia joined the World Trade Organization in 1997 and seeks to expand its participation in regional economic and trade groups. In the 16th century, Tibetan Buddhism began to spread in Mongolia, being further led by the Manchu-founded Qing dynasty, which absorbed the country in the 17th century. By the early 1900s, almost one-third of the adult male population were Buddhist monks. After the collapse of the Qing dynasty in 1911, Mongolia declared independence from the Qing dynasty, and in 1921 established de facto independence from the Republic of China. Shortly thereafter, the country came under the control of the Soviet Union, which had aided its independence from China. In 1924, the Mongolian People’s Republic was declared as a Soviet satellite state. After the anti-Communist revolutions of 1989, Mongolia conducted its own peaceful democratic revolution in early 1990. This led to a multi-party system, a new constitution of 1992, and transition to a market economy. Mongolia is one of the rich natural countries in the world. Because there are 7 natural zones: such as High Mountain Zone, Taiga Forest Zone, Mountain Forest Steppe Zone, Steppe Zone, Desert-Steppe Zone, Gobi Desert Zone, Wetlands. For example: Mongolian from north to south it can be divided into four natural zones: mountain-forest steppe, mountain steppe and, in the extreme south, semi-desert and desert. At 1,564,116 km2 (603,909 sq mi), Mongolia is the world’s 19th-largest country (after Iran). It is significantly larger than the next-largest country, Peru. It mostly lies between latitudes 41° and 52°N (a small area is north of 52°), and longitudes 87° and 120°E. As a point of reference the northernmost part of Mongolia is on roughly the same latitude as Berlin (Germany) and Amsterdam (Netherlands), while the southernmost part is on roughly the same latitude as Rome (Italy) and Chicago (USA). The westernmost part of Mongolia is on roughly the same longitude as Kolkata (India), while the easternmost part is on the same longitude as Qinhuangdao (China) and Hangzhou (China), as well as the western edge of Taiwan. Although Mongolia does not share a border with Kazakhstan, its westernmost point is only 36.76 kilometres (22.84 mi) from Kazakhstan. Mongolia is known as the “Land of the Eternal Blue Sky” or “Country of Blue Sky” because it has over 250 sunny days a year. The name “Gobi” is a Mongol term for a desert steppe, which usually refers to a category of arid rangeland with insufficient vegetation to support marmots but with enough to support camels. Mongols distinguish Gobi from desert proper, although the distinction is not always apparent to outsiders unfamiliar with the Mongolian landscape. Various nomadic empires, including the Xiongnu (3rd century BCE to 1st century CE), the Xianbei state (c. 93 to 234 CE), the Rouran Khaganate (330-555), the Turkic Khaganate (552-744) and others, ruled the area of present-day Mongolia. The Khitan people, who used a para-Mongolic language, founded a state known as the Liao dynasty (907-1125) in Central Asia and ruled Mongolia and portions of the present-day Russian Far East, northern Korea, and North China. In 1206 Genghis Khan was able to unite and conquer the Mongols, forcing them into a fighting force which went on to establish the largest contiguous empire in world history, the Mongol Empire (1206-1368). Buddhism in Mongolia began with the Yuan emperors’ conversion to Tibetan Buddhism. After the collapse of the Mongol-led China-based Yuan dynasty in 1368, the Mongols returned to their earlier patterns of internal strife. The Mongols also returned to their old shamanist ways after the collapse of their empire and only in the 16th and 17th centuries did Buddhism reemerge. At the end of the 17th century, present-day Mongolia became part of the area ruled by the Manchu-led Qing dynasty. During the collapse of the Qing in 1911, Mongolia declared independence but had to struggle until 1921 to firmly establish de facto independence and until 1945 to gain international recognition. As a consequence, Mongolia came under strong Soviet influence: in 1924 the Mongolian People’s Republic was declared, and Mongolian politics began to follow the same patterns as Soviet politics of the time. After the revolutions of 1989, the Mongolian Revolution of 1990 led to a multi-party system, a new constitution in 1992, and a transition to a market economy. The Culture of Mongolia has been heavily influenced by the Mongol nomadic way of life. Other important influences are from Tibet and Tibetan Buddhism, and from China. Since the 20th century, Russian and, via Russia, European cultures have had a strong effect on Mongolia. The ger (yurt) is part of the Mongolian national identity. The Secret History of the Mongols mentions Genghis Khan as the leader of all people who live in felt tents, called gers, and even today a large share of Mongolia’s population lives in ger, even in Ulaanbaatar. Ger’ also means home, and other words are derived from its word stem. For example, gerlekh means to marry. Since ancient times Tengrism was the dominant belief system of the Mongols and still retains significant importance in their mythology. During the era of the Great Khans, Mongolia practiced freedom of worship and is still a defining element of the Mongol character. In the 17th century, Tibetan Buddhism became the dominant religion in Mongolia. Traditional Shamanism was, except in some remote regions, suppressed and marginalized. On the other hand, a number of shamanic practices, like ovoo worshiping, were incorporated into Buddhist liturgy. Mongolians traditionally were afraid of misfortunes and believe in good and bad omens. Misfortune might be attracted by talking about negative things or by persons that are often talked about. They might also be sent by some malicious shaman enraged by breaking some taboo, like stepping on a yurt’s threshold, desecrating waters or mountains, etc. The most endangered family members were children. They are sometimes given non-names like Nergui (Mongolian: without name) or Enebish (Mongolian: not this one), or boys would be dressed up as girls. “Since people of the steppe received only one name in life, its selection carried much symbolism, often on several levels; the name imparted to the child its character, fate and destiny.” Before going out at night, young children’s foreheads are sometimes painted with charcoal or soot to deceive evil spirits that this is not a child but a rabbit with black hair on the forehead. For a child, the first big celebration is the first haircut, usually at an age between three and five. Birthdays were not celebrated in the past, but today, birthday parties are popular. Wedding ceremonies traditionally include the hand-over of a new yurt (ger) to the marrying couple. Deceased relatives were usually put to rest in the open, where the bodies were eaten by animals and birds. Nowadays, bodies are usually buried. The closest national park from Ulaanbaatar city, Terelj National Park is well developed with modern facilities and paved road and it’s popular among foreign and domestic tourists for its convenient location, wide selection of hotels and ger camps and for the breathtaking view of the river and the rocky mountains. The sunset at the park inspired many good photos and the meditation temple standing among wildflowers looks like the jewel in the crown. A short excursion to the park is highlighted by a Turtle shaped rock and a stopover at the giant monument of Chinggis khan, 120 feet stainless steel with a guinness record. A horse ride, a camel and birds of preys are often lined up for photo opportunities. The one of the most successful projects to bring animals back to its natural habitat in the world is Hustai National Park, where wild Mongolian horses (przewalski’s horse) were brought back to their homeland. Now a home to more than 300 horses grazing in the protected areas surrounded by the nomads who are in charge of safeguarding the horses and the wildlife of the park. The park is known for its welcoming of the visitors, observation and research of the wildlife, not only the wild horses, but for the red deers, wolves, marmots, and various birds. 50 hectares of the park stretches from the rocky mountain with Siberian birch trees through the rich grassland to the Tuul river valley. The observation of the wild horses are done early morning or in the evening when horses come down to the water source. Bayangobi is the place where the rocky mountains magnificently stand, sand dunes wove around, the lakes create an oasis, the springs flow along the dune, and the sun rises and sets with most particular views. The unique combination of the nature allows the wild deers and wandering wolves to settle in the mountain and the nomads to breed camels, horses, cows, sheep and goats down in the valley. The valley casts an incredible sense of calmness, gentle breezes and stunning view with the scattered gers dotting the landscape. The little lake attracts many water birds including the whooper swans, grey geese, and shelducks. The ruin of an ancient temple is found an hour hike into the mountain hiding a sorrowful story of the civil war. 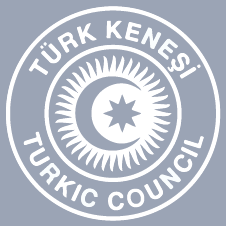 The new establishment was built on the ruins of the capital city of the greatest empire and the name is changed with the modern dialect. 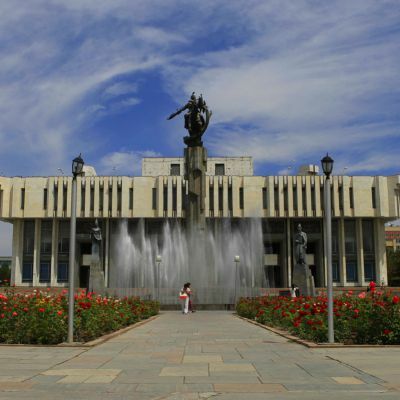 Kharkhorin is the most popular destination in the central part of the country with the two museums that hold the keys to the past. Kharkhorin museum reveals the secret of Orkhon Valley, where every single states that ruled the country decided to build its capital city and exhibits a model of the ancient Karakorum and their architecture. The Erdenezuu Monastery was built as the first temple in 16th century and was expanded from the Karakorum’s remnants. With its surrounding stupas and the well preserved temples and art, it stands as one of the leading museum and temple in the country. A short stop by the local market and turtle stone provide deeper insights into the life of people and their belief and the climb to the Empire Statues provide an interesting mixture of the modern settlements, nomads living in their gers as well as large agricultural land. Ugii Lake is well known for its fishing among locals. The rich resource of fish not only attracts fishermen but more than 150 kinds of waterbirds including the rare ones such as cape barren geese, spoonbills, and Dalmatian pelicans. The small research station provides information on the wildlife of the lake and a view of an island. The lake is a good stopover for rest after the long drive and a relaxing boat rides as optional activities. Built for the memory of the religious leader Zanabazar by the order of the Manchurian King, the temple was constructed to be the largest in the country. However, it was badly affected by the purge of 1930s and renovated later mainly thanks to foreign and domestic tourists. As it was chosen to be built in the valley for its beauty, the view from the top hill shows the well structured settlement of temples and the preservation of Manchurian architecture. However, much of the art pieces within are new and the running organization focus on the Buddhist ceremonies including the Bumba Tahilga and Tsam Dancing in late August and September. Orkhon Waterfall or Ulaan Tsutgalan is the waterfall created by the lava flows that caused the cliff deep as 60 feet. As the biggest waterfall in rather dry country, it attracts many local tourists. The Orkhon river valley with its large yak herds and horses roaming freely look very scenic. The traces of ancient people can be found along the river, 2000 years old burial sights, and river cliff petroglyphs dating back to the bronze age. However, the road full of sharp lava stones is the greatest challenge to check all the hidden treasures. Tuvkhun Monastery is located on top of one of the highest peaks in the region. The view from the top covers the country of three provinces, magically beautiful with the crisp blue sky and endless grassland. The way to the monastery can only be done by hike up or by horse ride, it is filled with fresh smell of pine forest and covered with hundreds of colorful flowers in June and July. However, the road up is muddy, full of flies without wind and free climbing is required for those who want to complete the ritual. As it was the workshop of the most famous artist and the religious leader of Mongolia, it is seen as a pilgrimage destination for Mongolians. Locals line up at the entrance of the cave of mother’s womb for a chance of rebirth and offer food at the spiritual Ovoo. The colorful temples among the trees disperse mystical aura. However as the mountain is the highest in the region, it often attracts bad weather and make it challenging to fully enjoy the wonderful scene. After the long drives, one must stop by the Tsenkher hot spa to relax for a day or two. The permafrost of the central Mongolian forest causes several hot springs in the region and out of those, Tsenkher hot spa has the best facilities so far. The drive to the spa passes through river valleys that decorated the natural paintings of many and known for the edelweiss covered hills, wild berries, and crisp blue lines of the rivers. The spa itself is famous for its rich minerals and will effectively glow your hair and skin, cleaning out the traces of adventurous trip. The ger camps offer massages and spa services. Horgo is the famous dormant volcano crater in Arkhangai province, its eruption a created a beautiful lake Terkh and the river cliff of Chuluut. Terkh is known for its rich birdlife including the common heron, great white egret, whooper swans, shelduck and gulls. An hour boat trip would bring travelers close to the bird island. A walk up to the crater present stunning scenery of the surrounding forest, mountains, the lake and lava bubbles. Locals wait for tourists for the tale of the lake and homemade dumplings. The lake is relatively shallow, 50 feet deep, and warms up in the afternoon for swimming. The beach is covered in pebbles but the ger camps happily provide sunbathing seats. The pearl of Northern Mongolia and the mother of all the rivers is Khuvsgul Lake or Dalai eej (mother ocean). The continuation of the Siberian forest and deep taiga covers the northern land of Mongolia and created the second voluminous freshwater lake in Asia after Baikal Lake. Both lakes are connected underground and share similar ecosystem. Khuvsgul is one of seventeen ancient lakes in the world, being more than 2 million years old, its water is potable without any treatment. Fresh water symbol burbot, Eurasian perch, lenok and the endangered endemic Khuvsgul grayling (Thymallus nigrescens) are now protected by National Park regulations. Khuvsgul Lake also has the only ferry named after the revolutionary hero Sukhbaatar and locals line up for an hour ride into the lake to whisper their wishes to the so believed magic rock. The eastern banks of the lake is occupied by many ger camps while the west side is relatively empty because of the challenging tracks. Both banks reminds Alpine geography without the gers and yaks. Urantogoo and Tulga Uul is a national protected area in Northern Mongolia. Local legend demonstrates how the mountains got their names based on their shapes: Urantogoo for its cauldron shape and Tulga mountain to remind the traditional tripod kettle stove. During the summer month, the valley is covered by globeflower as if to call out anyone passing by for a night. Uvs Lake is the largest lake in the country covering 36000 square feet and is an endorheic basin that created by an ancient sea. The saline water lake is quite shallow with sandy beaches. Surrounding basin is considered to be the best preserved natural landscapes of Eurasia. World’s northernmost desert Altan Els/Buurug Deliin Els meets the world’s southernmost tundra. The basin has other lakes which plays important role for the migrating birds of 173 species including herons and waterfowl. As the area is sparsely populated because of its harsh climate, it has become a homeland for wild animals including globally endangered snow leopard, Argali wild sheep and Asiatic ibex. Uvs Lake Basin was registered as natural World Heritage Site by UNESCO in 2003. Small minority of reindeer herders live in deep part of taiga in Northern region. Darkhads/Tsaatan are Turkic origin but lived at the Northern border for long time for its rich lichen pasture for their reindeers. 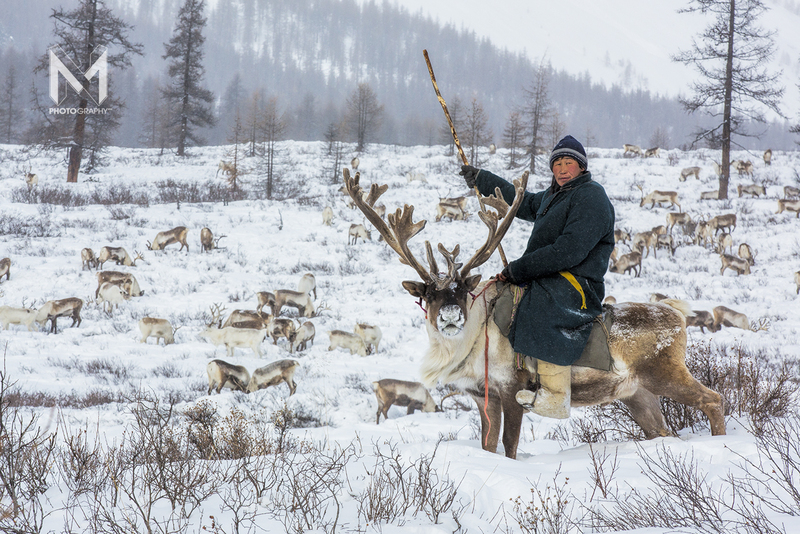 Tsaatans are highly dependent on reindeer pasture, roam in taiga with the changes of the season. During the summer it gets too hot for the reindeer, they climb up to the mountains following the wind breezes up to 7500 feet, when autumn comes and it gets colder, they go down to the valley looking for wind shielded pastures. 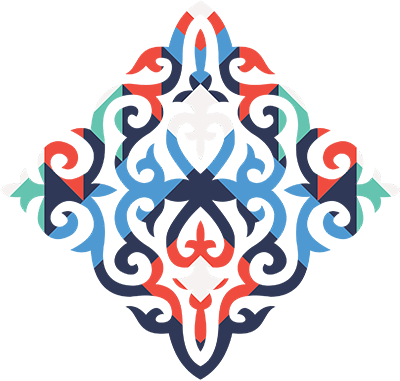 Tsaatans are well known for the preservation of old beliefs, shamanism in particular and the tribal system. Travelers go in search of the power of shamans, rareness of the reindeers, and wildness of the taiga by plane, by car and finally by horses. Middle Gobi is the driest part of the country for its location where Siberian cold weather hits the warmth produced by Gobi heat. Everyday is windy and people has been looking for a comfortable place to settle for thousands of years. Baga Gazriin Chuluu had everything they looked for, springs streaming off the rocky soil, windshield created by the rock formations and grassland for the animals. In the steppe of middle Gobi, from the top of 5000 feet Tahilt mountain, hundreds of hundred acre of land can be seen as well as the rock formations playing trick with the sunlight. Locals found an eye spring on top of a granite rock and monks built their secret temple (now a ruin after the purge) and planted birch trees. 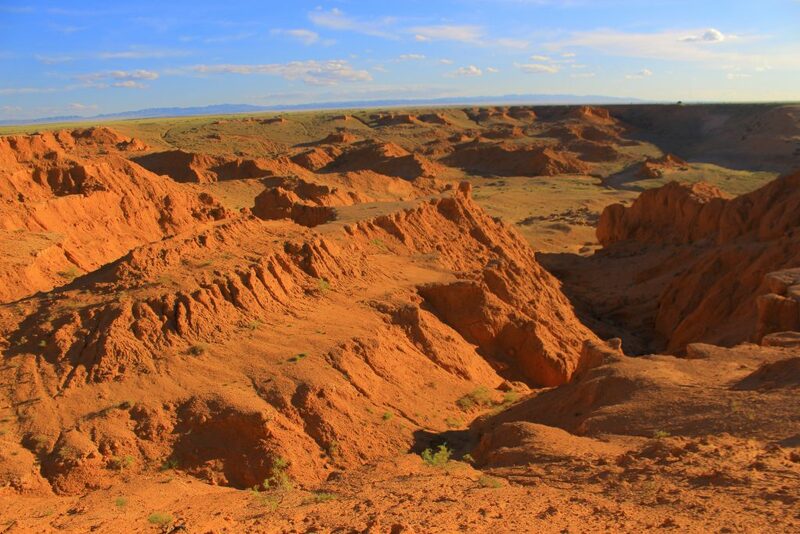 Tsagaan Suvarga or White Shrine is an eroded cliff in the middle of Gobi’s endless steppe. The soil has rich in minerals that creates the various colours of red, purple, and orange. From the top of the cliff to the north, vastness of the country is visible, while from the bottom, it looks like a castle all illuminated by fluorescent lights. The cliff is also famous for its birds of prey including Eurasian hobbies, kestrels and amur falcons. 30 miles from the cliff is a mountain called Del Uul, series of basalt rock formation shaped like a horse mane and the softness of the rock and its plain shape allowed ancient people to carve their stories. Over 30 galleries of petroglyph was found as well as the square burials. Valley of Yol is better known for Eagle Valley. Pushed out by the Indian tectonic plates, Gurvan Saikhan (Three Beauties) Mountain range is relatively young for mountain ages with a growing peak of 9100 feet. The East Beauty in particular is famous for its stunning valleys and the cold springs that turns into glacier later in the autumn. The whole valley is covered by ice until May and ice only started to disappear by the middle of July recently. Several valleys in the mountain keeps the glaciers year around. Yol Valley is a country of large birds like lammergeiers, griffins and steppe eagles. Locals share the sorrowing story of life and love, and boast their pride for the beauty of the country. Dreamy mazes of the morning, sneaking wild ibexes, strolling yaks, scouring pikas and the smell of juniper and mint leaves an unforgettable hiking experience. 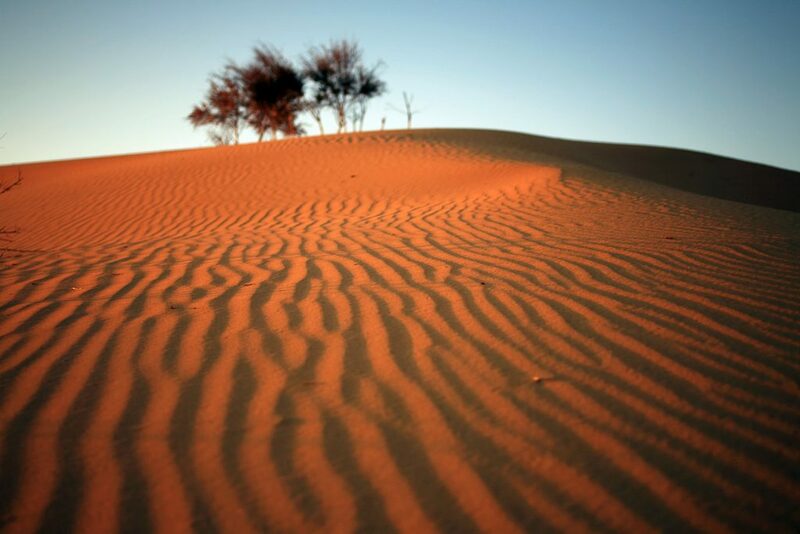 The largest sand dune in the country is Khongoryn Els or the Hongor Sand Dune. Especially by the Duut Mankhan where ger camps are settled, the sand dune raises up to 900 feet, the hongor spring creates a green carpet like oasis with blue streaks, and from the top of the dune the snow capped cape of Altai Mountain flashes its beauty. A camel ride along the dune is fun and comfortable and view from the door is one of a kind with the constant changes of color by the sun. This is the place to stay for a day longer to rest and enjoy the calmness and the unique beauty of Gobi. Mongolian Gobi is listed at the second place by the number of dinosaur fossils. Out of the many spots, the Flaming Cliff is more famous for its stunning view and the paleontological history. Named for its burning orange glows of the sunset, the flaming cliff was the home of protoceratops andrews and many types of dinosaurs of Upper Cretaceous Period. But locals know it better by the name of Bayanzag (rich of saxaul trees), a small forest of haloxylon stretching over 20 miles is the main source of fuel for nomads. The rainy seasons create a small pond by the edge of the forest making it a paradise for camels and photographers alike. Gobi has several known energy centres or magnetic field mountains. One of them is the Ongi Temple area where monks built their monasteries in the past and prayers go for meditation nowadays. The ruin of stupas on both banks of the Ongi River was connected by magical light during the chantings according to the local legend. The remains of the temples remind smaller scale Machu Picchu with its mud bricks and leveled stores and the view by the sunset strengthens the feeling of natural energy. Locals celebrate the return of the Ongi River after the sad scandal of gold mines and make small Naadam every Autumn. The desert-steppe of the Dzungarian Gobi (Great Gobi B) is home of the last true wild horse in the world: the Przewalski’s horse, called “Takhi” in Mongolia. It has lived through a very turbulent history, as it became extinct in the wild in the 1960s. However, the Takhi survived in captivity, based on am mere 13 founder animals. In 1992 reintroduction programs from zoos in Europe started, bringing the Przewalski’s horse back to its home country. In the Gobi B, where the last sighting occurred in 1968, International Takhi Group (ITG) leads a scientifically based reintroduction- and research-station; the work of ITG being based on a mandate/contract with the Mongolian government. In the last 25 years, the Takhi population had to adapt again to the harsh climate of its former home country and had to go through two climate phenomenon called Dzud in Mongolia. Despite of dropdowns caused by these cold winters, at the beginning of 2018, there are around 200 individuals freely roaming the Gobi B. For ITG reintroducing the Przewalski’s horse means also to help to protect the Gobi ecosystem. 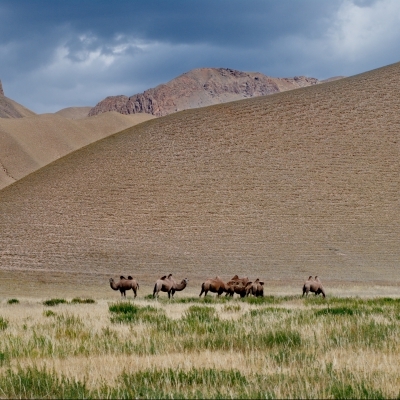 Thus, the Takhi serves as flagship for the conservation of nature in this remote area where – beside the Takhi – other migrating animals like the Khulan and the goitered Gazelle live. The Przewalski’s horse’s color ranges from a light brown on the back to white nostrils and a white belly. It features a compact body with a strong neck and heavy limbs and its height ist about 130 cm. The Takhi’s mane stands upright and from the mane to the tail blends a dark dorsal stripe. Unlike domestic horses, the Takhi’s onset of the tail is prolonged downwards. Western Mongolia is the country of snowcapped mountains, wild animals and Kazakh minority. Altai Mountain stretches from the westernmost point down to Gobi for 1500 kilometres. Altai Tavan Bogd National Park is on the west border of the country and Huiten, the highest peak of 4374 m, stands along the longest glacier of Potanin. Huiten is the dream of mountaineers, the wilderness of the place is extreme for its part of the border zone protected by armed soldiers. The border zone is also well known for its middle stone age rock paintings. Kazakhs, a small minority settled in Western Mongolia in 1850s, breed camels, horses, yaks and goats and train eagles for hunting. Tsenhker Cave is World Heritage for its paleolithic rock arts. The granite cave is about 60 feet tall with many symbols and animals including stags, buffalo, oxen, lions, Argali sheep, antelopes, camels, mammots, and ostriches. The paintings are in red ochre and stylishly similar to other paleolithic arts of the same period. The site is not only famous for the numbers of paintings but also for its artistic beauty, interesting overlaps of images that telling a story. The cave art is still in process of study by international research team. Eagle hunting is a tradition commonly practiced by Kazakh and Kyrgyz people and brought into Western Mongolia with the migration of 1850s. 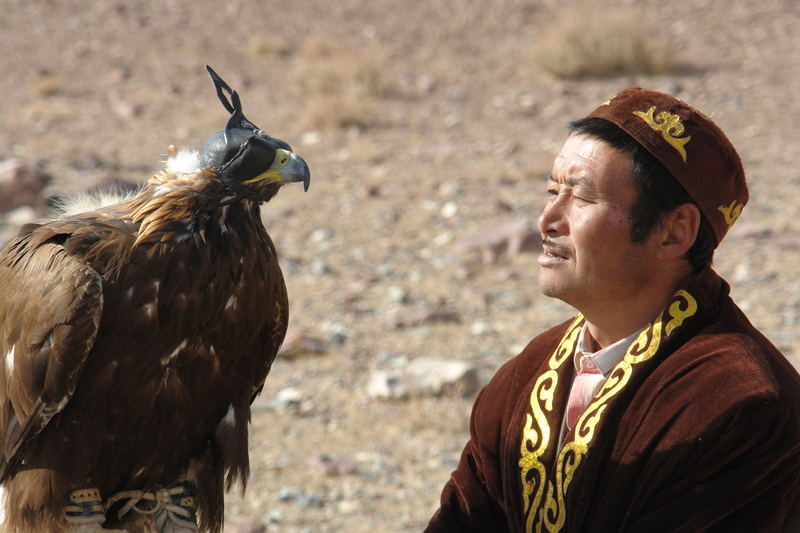 The eagle is considered to be the king of birds among Kazakhs and those who train them for hunting take the sport as the highest of pride and fame. Eagle hunters steal the the eagle just after the hatching and bring it home to accommodate it to its owners voice. The female eagle is preferred as it is bigger than the male and is generally born to hunt with its sharp sight, and the training is usually for it to not hurt the prey until the owner come and get it. During the Eagle Festival, the strongest eagles are known to hunt a wolf. Traditions of the eagle hunting is well explained with the changes of modern times in a documentary called “Eagle Huntress”. This is the must visit museum to brief the introduction of the country and its history. Housed in a communist time building, the museums displays the artifacts belonged to the history as early as 730000, introducing the series of history with the emerging states including the Huns and Mongolian Empire, the second largest on earth. A second floor exhibits a rich collection of ethnic diversity, the costumes and decorations while moving to the next floor, is a whole set of a ger with its accompanying tools for nomadic culture. Going over the communist changes, the last room reveals the democratic revolutions of 1990s. The several masterpieces that are valued as priceless decorate the cases of the museum and it keeps its door open for tourists everyday during the summer. 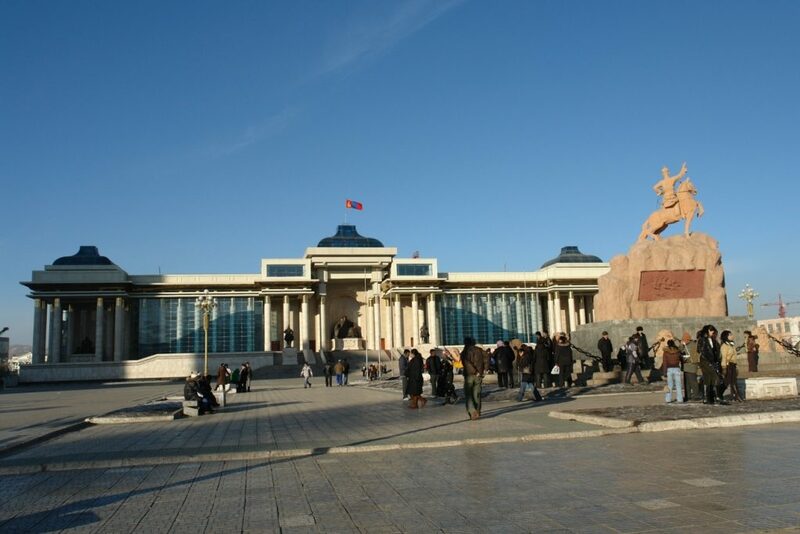 Gandan is the biggest operating temple of Buddhism in Mongolia and runs the administration of the religion with the Mongolian religious committee. The Gandan temple and Vajrapani temple start its daily chanting around 9 o’clock, prayers come to line up by the cashier for service and soon the smell of juniper and the sound of drums fill up the silence. The praying temples are both home to the religious art pieces that dated early 1900s and are considered the best of Buddhist mahayana art despite the communist purge of 1930s. Three stored temple in the centre holds 40 feet standing Buddha embossed by copper and gilded with thousands of precious stones. Gandan Monastery is a place to find beautiful pieces of old art, dedicated prayers, exemplary recreation of the old temples and stupas, the Buddha representing the freedom of people, a monk sneaking a phone call, a pickpocket waiting for his next victim all at once. The purge against religion wiped off the biggest temples all around the country and the sole temple to survive untouched was the Choijin Lama Temple. The secret is still unrevealed despite few guesses concerning the power of the Choijin himself. Built in Manchurian regime, the architecture preserves the mixture of Chinese, Manchurian and Mongolian at the same time displaying unique collection of art including the images of hell, sacrifices, and rather scary looking masks of the Tsam dances. The secret temple contains the Buddhas of various size in compassion, holding their mates and the incrimated ash of the temple owner and his teacher. The remnant of communist planning, the heart of the city has a main square with the hero and his manifesto engrained on the stone foundation. 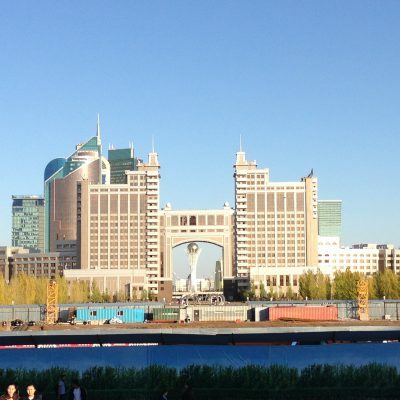 Surrounding the square are the parliament house with the statue of mighty Chinggis Khaan and his descendents, opera house and cultural centre, Blue Sky, Best Western and Central tower with its luxurious shopping mall. The square attracts those who are celebrating their wedding, graduation and anniversaries, always worth a trip across. Ulaanbaatar city is located among four mountain range, the front one is Bogd Khan Mountain, a sacred and protected as early as 1800s. One of the hills close by attracted the passerby for its panoramic view of the city and eventually in 1957, the communist government decided to build e memorial dedicated to Russians soldiers who died in Mongolia during the wars of independence in 1921, and the second world war in 1945. Climbing up about 300 steps and passing by the old tank traveled all the way to Berlin, the trip is popular among young couples who are on date day and night. Bogd Khan Winter Palace museum, a home to the last king, brings the visitors back to life of aristocrats of early 1900s. Their mornings started with an official visit to the king, in a small room lined up with well cushioned carpet seats to talk the state affairs. Queen, the mother of the country, relaxed in the next room which now is filled with the possessions of the king and queen. An old cannon signaled for the noon, the king moved to his thrones to see the visitors. Meantime, the artists who were well supported by the royals artistic interests indulged themselves in paintings, sculptures and making of the greatest piece of silk embroideries. The king liked to show off his elephant, a gift from Russian king, his deer garden and his collection of stuffed animals from all around the world to his visitors. His trip outside the palace was held in a cart brought from England or in a Ford jeep given by the American explorers. The first religious leader and the the most prominent figure in Renaissance art of Mongolia is Zanabazar. The fine art museum is called after his name and displays his most famous works including the Green Tara, White Tara, Five Dhyani Buddhas and his portraits etc. The fine art museum has a good selection of Mongolian art starting from the period of middle stone age, the new findings of the Shoroon Bumbagar burial, old paintings of Uighurs and 20th century artworks. The second floor mainly exhibit Buddhist art from early 1900s, including the longest silk appliques, Mandala, thangkas of the dharmas and the impressive Tsam dance masks. The last room displays the masterpiece of the museum, the most famous painting of Sharav, ‘One day of Mongolia’.